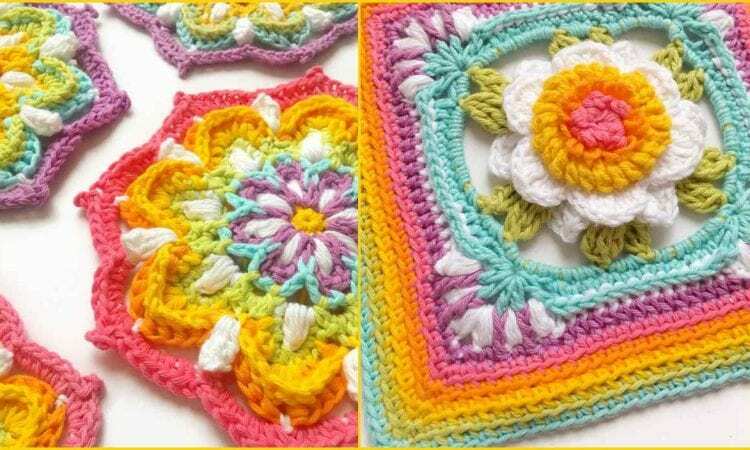 This is a beautiful mandala pattern with a lot of possibilities how to use in many different projects. You can make this pattern into a single flower or coaster, but you can also make it a central square for a tote or pillow. Finally, you can make a whole, beautiful afghan. The pattern may look a little bit complicated, but you can follow the detailed step-by-step photo tutorial. The link to the free pattern is below.